OtterBox is a popular electronics case company that provides cases and covers for a range of mobile devices. The business was conceived by Curt Richardson in the early 90s who invented a water resistant box to put belongings when doing water sports, fishing and other activities. The company was formally founded in 1995 with modest success, but when the iPod came around in 2004 Richardson switched focus to making iPod cases. This evolved in to phones and other mobile devices. Today OtterBox is headquartered at Fort Collins, Colorado, United States, with Curt Richardson and Peter Lindgren leading the private business. As of 2012 they had nearly 400 employees and their 2011 revenue was $247.5 million. 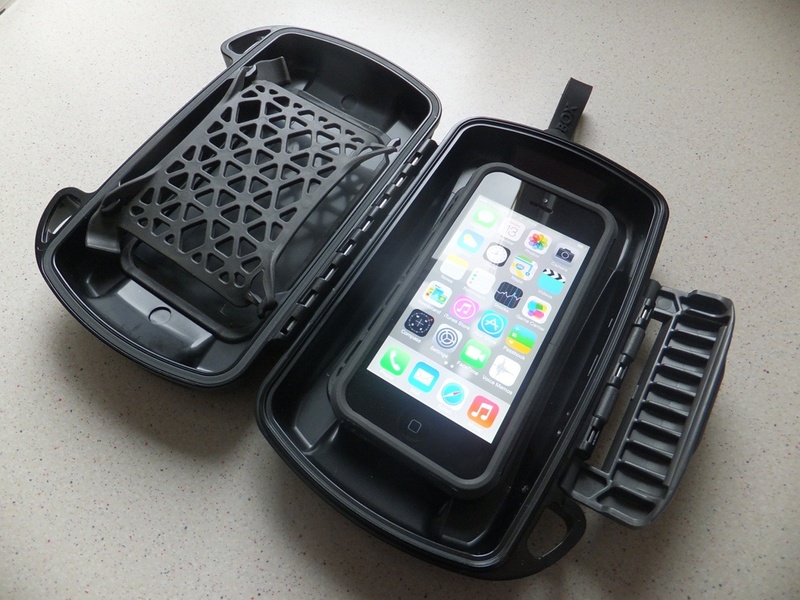 The current product line focuses on heavy duty cases that protect devices from water and damage when dropped. If you're interested in their products you can buy them online at OtterBox.com. Here you can make savings by redeeming a OtterBox coupon, from our up to date list at Coupofy. OtterBox focus on a specific range of mobile devices, including those made by Apple, Samsung, Motorola, LG, HTC, Amazon (Kindle and Kindle Fire), Nokia, BlackBerry, and Sony. These are the main categories to choose from on the home page, and once you've clicked one you will be taken to a list of devices that they cater to - usually the more recent releases. For example the iPhone offerings only go back to the iPhone 4. OtterBox then offer several types of case, each with slightly different benefits. These include the Armor, Defender, Preserver, Symmetry, Commuter, Reflex, Prefix, and Pursuit Series. Not all of these will be available for every device. Furthermore the site offers a "Customize" feature which allows you to choose a case and then several options for changing the color and design. Alongside the cases you can also purchase high quality screen protectors to ensure your device is fully protected from both drops and impact damage, but also scratches and surface damage. If you use an OtterBox coupon you can redeem savings and other deals on all of these products. OtterBox accepts all major credit cards for payment online, and you can also call them to make an order if you don't like buying over the internet. Cards accepted include Visa, Mastercard, American Express, and Discover. Our list of OtterBox coupons are kept up to date whenever they release new codes. 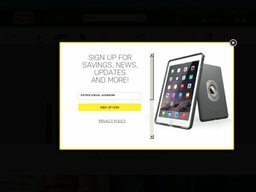 The process couldn't be simpler, just browse the coupons available and when you see one you like, click it and you will be redirected to OtterBox.com, with the code already copied to your clipboard. You can then paste it in to the promo box just before payment. The online store ships domestically internationally via FedEx. If you are from the UK they also have a dedicated mirror site on the .co.uk domain, which will allow you to purchase cases and have them delivered quicker than if you used the US version. The standard shipping option is via FedEx SmartPost and occasionally they offer free shipping deals for certain periods of time. You do not have to register and account to check out, but if you do it will make it easier next time around. Allow 3-5 business days (unless upgraded shipping options are chosen). They will accept returns if there is an error or the item was damaged during shipping. All you have to do is fill out their online form with the serial number, purchase date, and a description of the issue. They will then provide you with further details. @bradgabler9 Which case did you get?